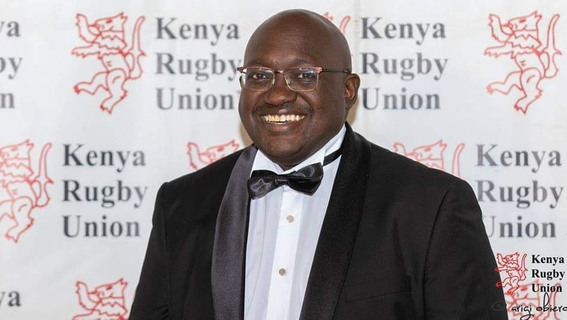 Immediate former Kenya Rugby Union Honorary Secretary Oduor Gangla has been elected as the new Kenya Rugby Union chairman after beating closest competitor Sasha Mutai by a margin of 13 votes at the elections conducted on Wednesday evening. Gangla managed 33 votes against Mutai’s 20, with the latter having vied for the second time and lost. Former KCB RFC chairman Asiko Owiro managed only two. “I feel happy to have been given this mandate by the delegates and we will continue with the work to put rugby where it deserves to be. My immediate task is looking at the team’s performance in the World Sevens Series, we have the women’s series qualifiers and the Barthes Cup here next month,” Gangla said after being elected. “We know that in the Union we have a financial problem and we need to start attracting more sponsors and we have fresh ideas that we will need the board’s approval to take the game high,” further stated Gangla. Mutai meanwhile was gracious in defeat saying he will support the new office. “I actually knew I was going to win after looking at our figures this morning, but politics is like that sometimes. The delegates have spoken and we have to respect what they have decided. I have been in rugby always and I will continue being here,” Mutai, clearly crestfallen from his loss said. Gangla who will now have to resign from his role as Honorary Secretary takes over from Richard Omwela who decided not to defend his seat. Meanwhile, John Kilonzo and Moses Ndale have been voted back into the board after garnering enough votes as directors. Kilonzo received 32 votes while Ndale had 26. They will be joined in the director’s role by Ray Olendo who managed 28 and Kikechi Kombo who had 26. This comes as Ian Mugambi and Ezekiel Owuor failed to defend their seats after managing 23 and 22 votes respectively.